I've been thinking about getting them done ever since I got my helix pierced, just over two years ago. I was slightly put off by just how long that took to heal. I know it's different because that was through cartilage, but I couldn't be bothered to put up with the pain. But, there I was, last Saturday, conveniently shopping somewhere with a Claire's accessories inside. I decided to hell with it, I would get it done. They used a gun for each side, and the whole thing was over very quickly. Compared to having my helix pierced, it didn't hurt at all! My ears felt very hot for a few minutes, but very quickly I couldn't even feel them. Claire's sold me a cleaning solution, not going to lie, I think it's very overpriced considering you can just use a salt water mix, however, it's handy if I'm feeling lazy and means there's no excuse for me not to keep up with aftercare. This solution claims that if I use it three times a day for three weeks, my piercings will be healed. Enough to change them anyway. I'm slightly sceptical, but if this is true then that's great! I'm just going to keep an eye on them and see how I go. So far the healing has gone really well, I can sleep absolutely fine on each ear, and so far haven't really had any problems with getting my hair caught around them or anything. For the first few days, that were a little sore if I touched them, especially during cleaning. Now, a week on, they're fine to touch, a bit uncomfortable during cleaning, but so far so good! Actually a lot less painful from what I remember when I got my first lobes done about 10 years ago. It's definitely given me food for thought when considering future piercings. So far, I'm really happy with the piercings I've got and have got a couple of fake ones to wear if I really want to. I like the idea of getting my conch pierced, but I've heard it's very painful, and I'm not sure I'm brave enough. Ask me in 6 months. I'd consider other cartilage piercings, but the healing time puts me off slightly, considering I had quite a long journey before my helix finally settled down. 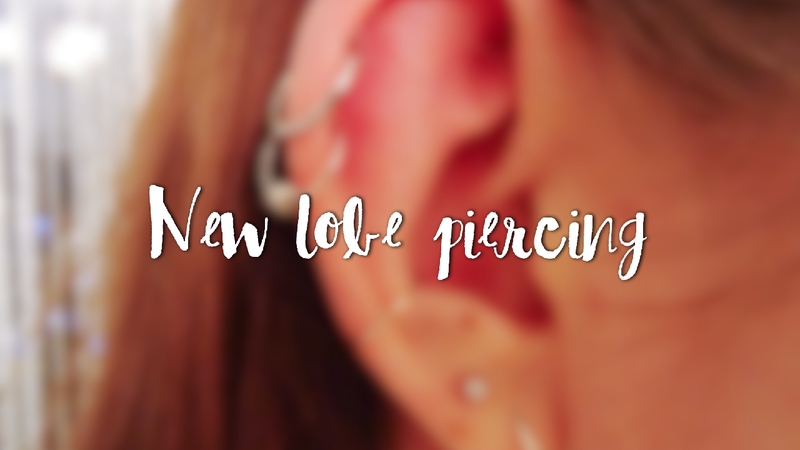 Edit: I didn't really make it clear, but the conch and lower helix piercing are clip in, fake piercings, whilst the upper helix, and both lobe piercings are legit.